Hyderabad (Wednesday, February 16, 2017): The directorate of Nationals savings of Pakistan is here to held a major balloting draw of Rs. 1500 Prize bond dated 15th February, 2017 that will held at city Hyderabad that is a big district of Sindh Pakistan. This is draw No. 69 till so far. 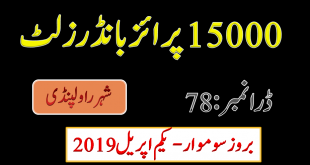 You can check out online 1500 Prize bond list result 15th February 2017 held at Hyderabad on this page by National savings of Pakistan today. 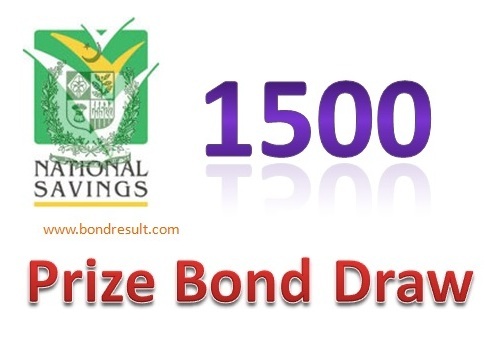 You can also download 1500 Prize bond list 2017 on this page very soon. The fifteen Hundred Prize bond is my favorite Prize bond that have a good amount of Prizes in very low prizebond denomination. This is Prize bond is bought by most of the peoples having little amount of savings. The salary persons, little investors and the businessmen like this prize bond because this have the potential to give you big money in low amount of investments. The percentage of winning prize in this line are very high against 7500 1500 25000 and 40000 prize bond. So This is preferred to have all time in savings. 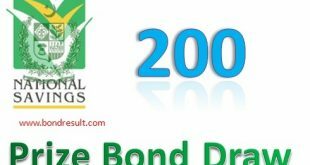 This Rs 1500 Prize Bond Result February 15, 2017 Held at Hyderabad will give you most money from small denominations. that will be given to 1696 numbers. This have the high chance to be me and yours because some if you have not won any first or second prize then this is good for you. So be patients and wait for luck time. The National savings Prize Bond List 1500 Draw Result 15th Feb, 2017 will be Held at Hyderabad that will be updated here very soon. The time of result updated at bondresult is 5:00 pm. The official website of savings.gov.pk will updated the complete draw list for you. So keep visiting us for more prize bong guess papers, formulas, photo state papers, schedule and all new and past draw results. Thanks.